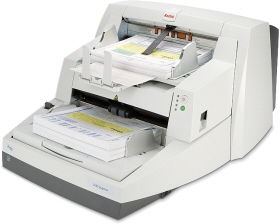 The Kodak i700 Series Scanners ideally match the speed and volume requirements of your enterprise. The KODAK i730 Scanner delivers all the advantages of the tried-and-true KODAK i780 Scanner, a Better Buys for Business Editor's Choice Award winner: the speed you need, automatic features like auto orientation for exceptional images every time, and rugged, reliable performance. Compare specs, and you'll see that the KODAK i730 Scanner outruns the competition with speeds up to 90 ppm. But the i730 Scanner's actual throughput advantage is much greater than raw numbersbecause, unlike competing products, it delivers maximum scanning while meeting real needs under real-world conditions. You get true 90 ppm performance when scanning.